South Africa is one of the continent’s leading countries when it comes to embracing and implementing renewable energy policies and plans, and a local Cape Town electrical technologist, Jimmy Goulding, has championed the use of small hydro in an effort to ensure it is cemented in South Africa’s energy future. Goulding, who is based at engineering company Aurecon, is responsible for Version 2.9 revision of the Grid Code which was published in November 2016. In 2014, Goulding said he considered that if improvements were made to the newly introduced Version 2.8 Grid Code for Renewable Power Plants (RPPs), to make the code more compatible with viable small hydro technology, it would open the door to small hydro development in our country. “The necessary changes, as I saw them, specifically related to the grid connection code for RPPs connected to South Africa’s electricity transmission or distribution system, as well as the clauses in the code relating to meteorological data requirements and forecast data,” he said. 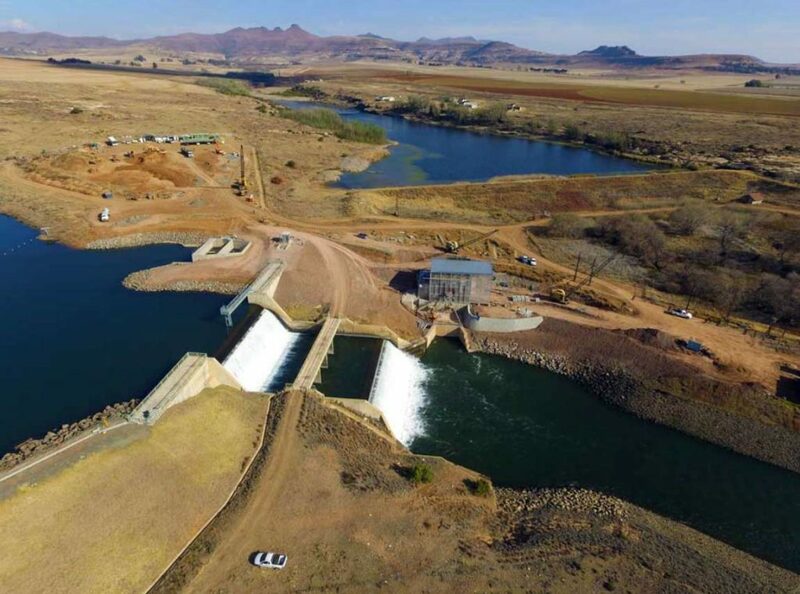 Paul Nel, Aurecon’s unit manager for energy and resources said that everybody in the industry understood that changes to the Code were required to ensure small hydro was a viable option under the Renewable Energy Independent Power Producer Procurement Programme (REIPPPP). He said that with Goulding’s years of experience in both hydro and grid code compliance, he set out to develop recommended changes to the code for discussion with the National Energy Regulator of South Africa (NERSA) and power utility Eskom. Nel said the introduction of the REIPPPP code was achieved with admirable speed, and reflected the fact that wind and solar power would be the major renewable contributors to the electricity grid. He added that consequently, the drafting of the code was based on inverter type technologies, whereas, unlike wind and solar, hydro generators are synchronous machines. “This fundamental technical issue, among others, was at odds with the requirements of the code and effectively constrained the development of small hydro,” Nel said. Goulding explained that once wind and solar were successfully on track, it was a case of drawing the attention of the authorities to the fact that small hydro could have a worthwhile future, especially considering that, unlike wind and solar, hydro has very high levels of availability. “This could be unlocked if certain changes were made to the code,” he said. The key issue with the code was that it required a hydro facility to stay connected to the grid under some specific network disturbances, which would have been extremely complicated given the different nature of these types of machines. Goulding said that to comply with the code, small hydro units would have had to be designed with massive flywheels to ensure they had enough momentum to ‘ride through’ the faults. “Ultimately, this would have made the designs exorbitantly expensive and unfeasible,” he explained. “Other issues that I felt needed to be raised included the way energy forecasts had to be done based on meteorology that was incompatible with the characteristics of small hydro generators,” Goulding added. Goulding said that after some time pursuing a lone campaign, he was asked to chair a small hydro work group to discuss his proposals with Eskom. The engagement process was said to have started in November 2014 and presentations of proposed amendments for the code were made to the Grid Code Advisory Committee and an industrial expert team in October 2015. Once the proposals were accepted by both bodies, Eskom drafted it into a new code for NERSA to approve. This resulted in the Version 2.9 revision of the grid code which was published in November 2016. Goulding said a key lesson which he learned was that too often problems, such as the issue he had with the Grid Code for small hydro facilities, were dismissed as the government’s problem.